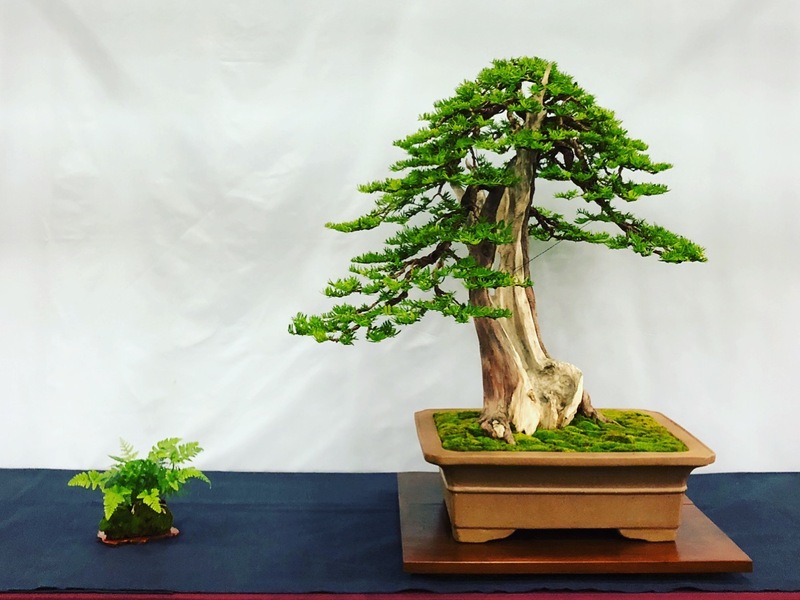 Carmen Leskoviansky, Matthaei-Nichols collections and natural areas specialist, returned from the 6th Annual National Bonsai Exhibition held in Rochester, N.Y., last month. Carmen says it was a great weekend full of amazing trees, seeing old friends, and making new connections. The trip to Rochester was part of an effort by Matthaei-Nichols to raise awareness of our amazing collection of bonsai and penjing, which now numbers more then 70. Carmen took a yew from the Matthaei-Nichols collection to display at the show. The 100+-year-old tree was donated by a local bonsai enthusiast and has been wo rked on over the years by bonsai professionals, staff, and volunteers. Click here for a video from earlier this year of Bruce Baker working on the yew. Check out our Instagram page for a pic of the yew on display at the show.